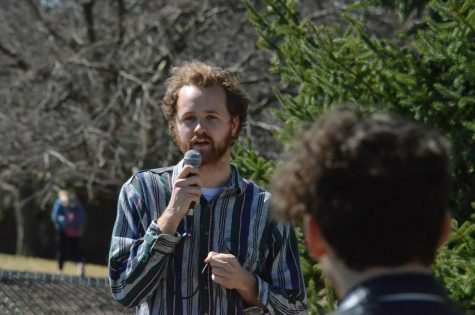 Concern over the fate of the Student Activities Office (SAO) has sparked a movement across the campus community known as “Save SAO #KeepKen.” The movement has involved hundreds of social media posts, a student-led sit-in on Commons Lawn and more. 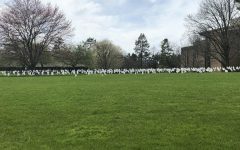 The SAO’s budget will be reduced greatly, its programming will be consolidated with other offices, and the position of its longtime director Ken Heffner will no longer exist, Chimes reported last week. College administrators have suggested “reorganization” of SAO will take place, but have yet to comment on any specific plan of what the SAO will look like in the future until next week’s town hall meeting with President Michael Le Roy and VP for student life Sarah Visser. 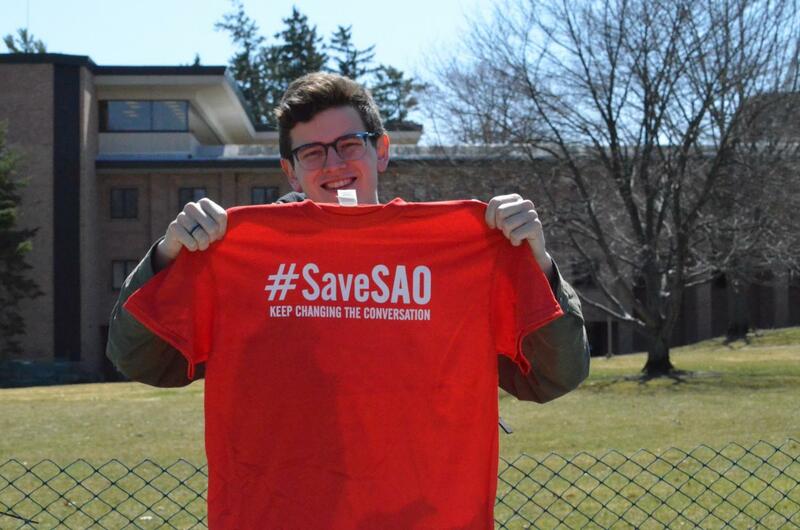 Senior Patrick Jonker started a Facebook group on the night of Friday, March 29, called “Save SAO #KeepKen,” which has now grown to over 2,700 members as of Wednesday, April 3. 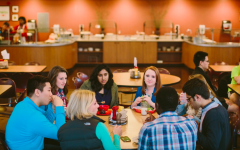 Members include students, staff, faculty, alumni, and the broader Calvin community. 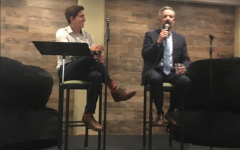 Jonker shared that he created the group as a way of recognizing the work of Heffner and SAO as being an example of Calvin’s theology in how it stresses discernment. 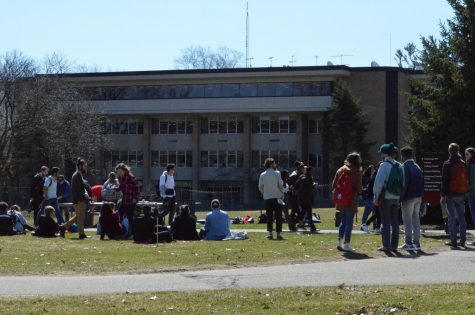 “Without [SAO], we feel Calvin has lost some of its identity… the SAO and Ken deserve to be supported, and the decision contested,” Jonker said. 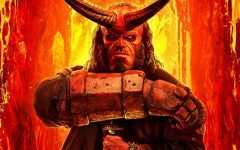 This page has over a hundred posts and hundreds of comments on those posts. 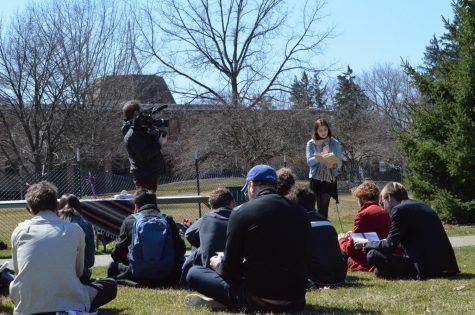 Members have shared favorite SAO or Ken Heffner memories and what the SAO and Heffner meant to them, voice their concerns for a Calvin without the SAO and some of those emotions, and propose solutions and possible future steps. 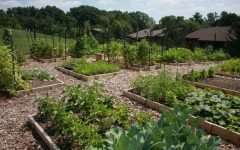 Jeff Bouman, director of the Service-Learning Center, posted in the Facebook group summarizing many sentiments shared by others on social media. 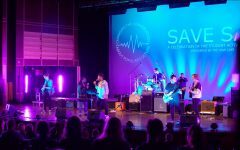 Junior Molly VanderWerp, a moderator for the “Save SAO” Facebook page, a member of the Student Activities Board, and a Cultural Discerner (CD) posted to the group that she would provide “free” tickets for the SAO’s Haley Heynderickx concert on Wednesday, April 3, using a portion of the CD budget. “Showing up to shows is telling Ken and admissions that we care about that work, and benefit from it,” said VanderWerp. Junior Skyler Rich, who runs a small clothing business called “Forgive Everyone Co.” that works towards social reform and reconciliation, posted on Facebook an offer to screen-print T-shirts that say “#SaveSAO Keep changing the conversation.” Ninety people ordered these shirts for $6 each. An Instagram page called “Celebrate_Ken” was created with the stated intention to share “stories of Ken Heffner and the SAO’s legendary impact on countless lives and a call for Calvin to evaluate priorities.” This account contains 45 posts of testimonies from the community and has 437 followers as of Wednesday, April 3. President Le Roy also released a statement about budget constraints, which Chimes reported on separately. The “Save SAO” Facebook group set a meeting on Monday, April 1 at 5 p.m. in the Fish House to lament, discuss, organize and mobilize. Many attended, and four immediate goals were established: to request a town hall meeting with administration to receive answers, to request that Heffner be involved in choosing someone to continue the work of SAO, to begin a petition that expresses student desires and to continue conversation in the community. Members of the Facebook group organized a sit-in on Wednesday, April 2 on Commons Lawn from noon until 2 p.m. This was a time for the community to come together to lament the loss of Ken Heffner’s position and show support for the SAO by honoring and celebrating its work. 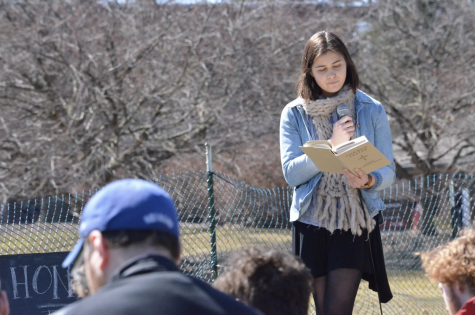 Every fifteen minutes, students read from the Book of Common Prayer. Some students also used this time to write stories and reactions as they listened to students share memories and impacts of the SAO and Heffner. Heffner came to listen for part of the event, but he has not been involved in the campaign to save the SAO or his position. Jonker shared a story from a time he attended a “The National” concert hosted by the SAO with his father. During the song “The Abel,” everyone was shouting the chorus: “My mind’s not right, my mind’s not right!” At that moment his father, a pastor, turned to him and said that the moment was like communion. For Jonker, it was eye-opening: the lead singer is an atheist, yet God was able to use his music to bring people together to experience beauty. Additionally, student senate president Edgar Aguilar met with Jonker, who started the Facebook group, and determined that student senate would support the campaign to preserve the SAO. 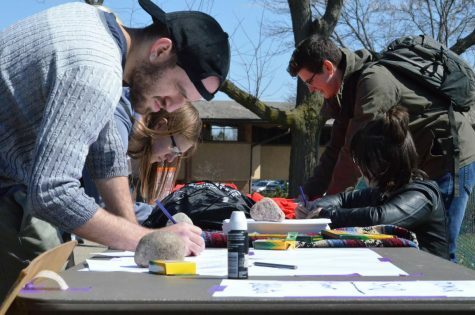 “The voice of students… should be in any conversation of reorganization, so that we can avoid reorganization that doesn’t recognize what students value at Calvin,” said Aguilar. 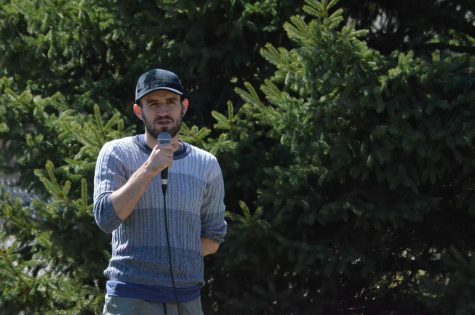 Artists that Heffner has brought to Calvin have also voiced their concerns. 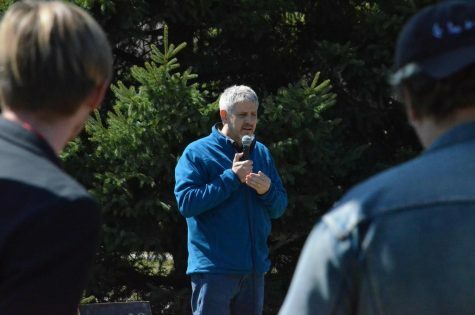 An email chain (listserv) called Calvin Matters, consisting of many Calvin faculty and others in the community, has also been discussing the fate of the SAO and statements from administration. 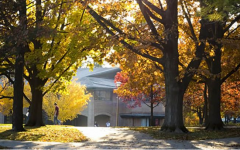 Psychology professor Claudia Beversluis said that while Calvin will still be engaging culture in other areas, the loss of the SAO is the loss of one of the most tangible and visible examples of this at Calvin. Physics and astronomy professor Larry Molnar raised questions about whether or not the SAO could be supported, or even endowed, by the decades of alumni who benefited from the program. “Who made this decision and by what process? 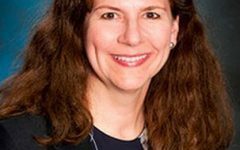 This was a surprise to me as I did not see it mentioned in the faculty senate notes nor announced by the college administration,” wrote Molnar. President Le Roy released a statement on April 2 detailing some of the underlying issues regarding budget cuts as well as establishing that a town hall meeting will be held on April 9 in the chapel sanctuary at 7 p.m. to discuss the budget situation, particularly with the SAO. For more reactions from members of the community, check out the “Save SAO” Facebook group.